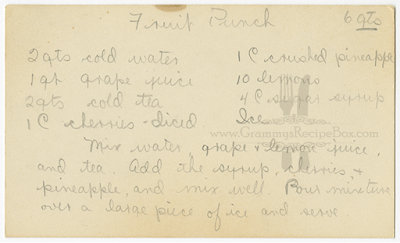 This is a recipe that I think is in Grammy's handwriting. 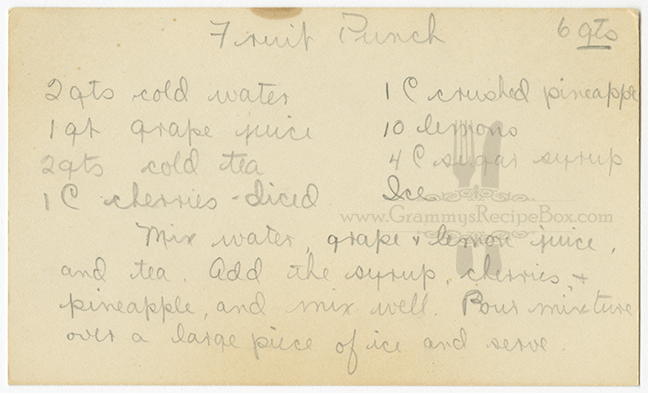 I suspect this recipe predates 1952 because of the ingredient "cold tea". Grammy did not consume tea after 1952 when she (along with her husband and two older daughters) was baptized into The Church of Jesus Christ of Latter-day Saints whose members do not partake of tea or coffee.